Do You Partner With Wealth Managers To Reach Care Management Concierge Clients? Wealth management banks are increasingly using geriatric care managers to serve their clients. Bank of America’s U.S. Trust and Merrill Lynch, Wells Fargo Private Bank, Morgan Stanley, and Northern Trust and some of these trust departments turned wealth managers that use or partner with care managers. They serve Concierge clients with assets over and above a million dollars and want to work with geriatric care managers to lighten their own load. A care manager can handle the health care and psychosocial while their handle their area of expertise, financial management of a client’s assets. When you market to wealth managers, you have to show them the benefits of using a geriatric care manager. Assess the client’s level of competency to make financial decisions. Collaborate to create a long-term care plan for clients who wish to stay at home and TO needs to plan accordingly for the cost of care. access community resources for their parent’s care. Make clients feel engaged with a health and social services concierge who will help the trust offer guide them to the BEST care. 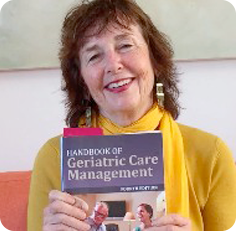 from Cathy Cress, MSW, author of the book known as the bible of geriatric care management. Learn how to transform your GCM entrepreneurial idea into a profitable reality before you even open your doors. Bank of America’s U.S. Trust and Merrill Lynch, Wells Fargo Private Bank, Morgan Stanley, and Northern Trust and some of these trust departments turned wealth managers that use or partner with care managers. They serve Concierge clients with assets over and above a million dollars and want to work with geriatric care managers to lighten their own load. A care manager can handle the heath care and psychosocial while their handle their area of expertise, financial management of client’s assets. Assess client’s level of competency to make financial decisions. I just attended my 50th high school reunion in Atlantic City New Jersey and am leaving for New York to speak at Senior Source. If you want to learn more about midlife sibling in both the “nearly normal and the dysfunctional aging family join me on tomorrow October 3rd. in New York on to speak at Senior Source a geriatric care management component of Self Help, a renown 75 year old New York Based program dedicated to Holocaust survivors seeking refuge in America, with a distinguished 75 year history, dedicated to enabling the elderly and other at-risk populations to live in their own homes, independently and with dignity. The Senior Source Salon will be held from 6 PM to 8 PM October 3rd and I will speak about negotiating midlife sibling issues in both the “nearly normal and dysfunctional aging family. The talk will cover the challenges of negotiating and mediating with estranged siblings regarding their parents or loved ones finances, assets, estates and guardianship. My book, “Mom Loves You Best,” will be of particular to interest to Trust and Estate attorneys and geriatric care professionals. Many Trust and Estate attorneys often face the challenges of negotiating and mediating with estranged siblings regarding their parents or loved ones finances, assets, estates and guardianship, in which Cathy empowers her audience with the “tools to make forgiveness achievable through their prescriptive ten-step process”. Please feel free to spread the word and invite any interested colleagues. If you have any questions, please contact claurence@selfhelp.net. 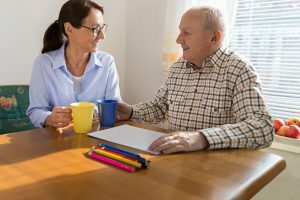 How Does a Geriatric Care Manager Solve Aging Family Problems? 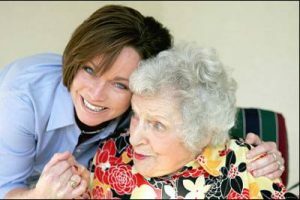 What is a geriatric care manager,what do they do for the aging family and midlife siblings- and exactly how do they do it? I am beginning a new series of blogs on geriatric care management today. We will start with exactly what is a geriatric care manager. What is geriatric care management? 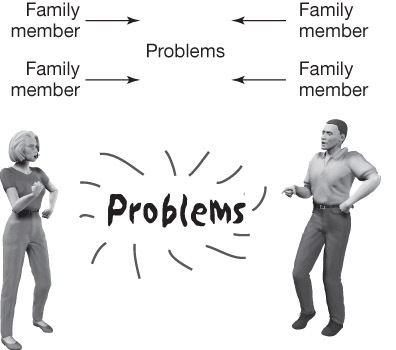 It is a series of steps taken by a professional geriatric care manager (GCM) to help solve older people’s problems. A GCM, who may be a social worker, a nurse, a gerontologist, or another human service professional, serves older people and their families. The GCM usually steps in when the older person or family is in crisis. Geriatric care management is also a preventative service rendered on demand, increasing the quality of an older person’s life, managing all the players rendering services to the older person, and offering assurance and peace of mind to the adult children of the older individual. How does the GCM solve these problems and render these services? The GCM uses classic social work and nursing tools, including client assessment, care planning, service coordination, and referral and monitoring. What is the job of a professional GCM? Geriatric care manager’s jobs are similar to the role of all case managers, (neonatal, medical, adolescent) GCMs use all the classic tools of all case managers. But unlike other case managers, GCMs specialize in serving adults aged 65 and older and offer very personalized services. GCMs historically have had much smaller caseloads than case managers have (especially those in public case management settings), giving GCMs great flexibility in delivering highly individualized services to their older clients. Unlike many case managers in public case management settings, GCMs are generally available 24 hours a day, 7 days a week, 365 days a year. They respond to client needs at the convenience of the client, which enables the GCM to cross the line from public sector human services into the for-profit service business. The GCM’s product is service, and that product must be available at all times to be useful to older people, their families, and third parties such as trust departments and conservators, who are willing to buy the product if it is offered in this manner.